Oakes is a Brisbane local. 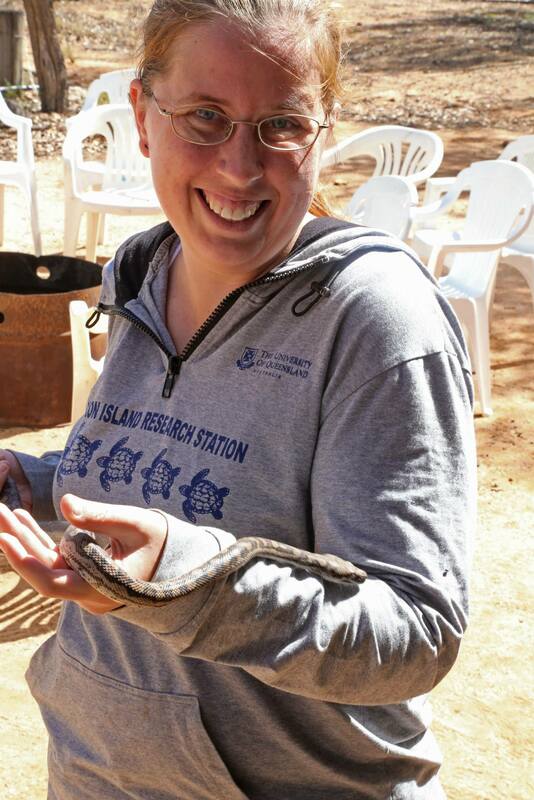 She completed both her undergraduate and Masters degrees at UQ and is excited to be undertaking her PhD here under the supervision of Professor Kerrie Wilson and Dr Justine Shaw. Oakes completed a short semester-long project with Kerrie as part of her Masters degree which evaluated the impact the Queensland Vegetation Management Act (1999) had on land clearing rates in the Southern Brigalow Belt biogeographical region. She was invited back to continue this work as a PhD, however it wasn’t exactly what she was looking for in a PhD. She then followed Kerrie’s advice – “think about what baggage you want at the end of your PhD – what do you want to be known for, where are your passions, what is going to keep you motivated”. After a long think Oakes decided – it had to be marine, it had to be applied, it had to be novel, and it had to have the potential to make a difference. In the end, that sent her to the bottom of the world! Oakes project is investigating the threat of marine invasive species reaching the Southern Ocean surrounding Antarctica in a warming world. To date there are no documented successful invasions in this region of the world, owing much to the physical characteristics of the Southern Ocean – it’s too cold, too remote, and too inhospitable for most species. This is, however, likely to change as the worlds temperatures continue to increase. Oakes will use ecophysiological species distribution models coupled with future predictions of climate change to elucidate whether any known marine invasive species has the potential to invade the Southern Ocean in the future. Once the threat is known, she will then look at whether current policies and regulations are sufficient to stop the spread of these species, and investigate potential surveillance tools to catch these species before they become established. The Antarctic marine environment is so understudied, for obvious reasons – it’s huge and it’s a logistical challenge. Oakes hopes that her research can help to plug at least one of our knowledge gaps and lead to the development of a targeted and effective surveillance program for marine invasive species in the Southern Ocean.